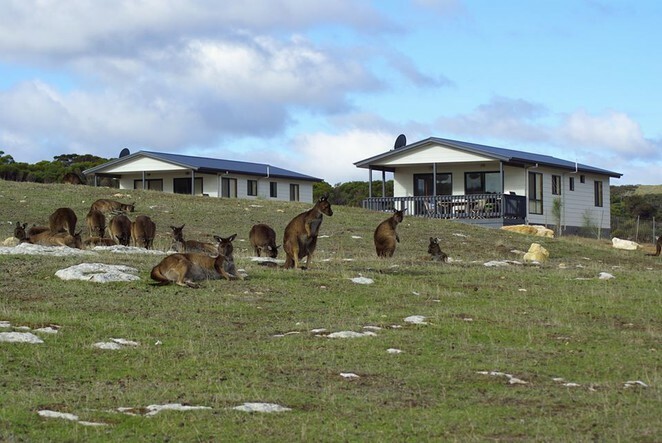 After you have seen the seals, the koalas, the pelicans, the caves, the remarkable rocks and the wilderness on Kangaroo Island take some time to visit Stokes Bay. Here you will be rewarded with a beautiful, sandy, family friendly beach but that's only one of the reasons to make the trip. 1. Build Your Own Rock Pile. Arrive at the car park just past the Rockpool Café while the tide is out and be greeted by sweeping ocean views over a rocky beachscape. It would be hard to miss the little rock piles made by other visitors and difficult to pass up the temptation to make your own. Love them or hate them, they have become a common expression of human presence. 2. Traverse the Rock Tunnel. The more beautiful sandy Stokes Bay Beach is accessed through a natural rock tunnel sometimes referred to as 'The Secret Tunnel.' A painted sign and arrow points the way. Follow an easy although slightly uneven trail through the headland of boulders and emerge onto a white sand beach beneath a bank of cliffs. The children will love the adventure and the view as you leave from the tunnel will take your breath away. This hidden beach is often claimed to be Kangaroo Island's best. 3. Explore the Rock Pools. The rock pools to the left as you emerge from the tunnel are not only picturesque but are home to an array of sea life. Scan these crystal clear shallow pools for fish, crabs and water snails which are easily spotted. They are so captivating you could be excused for losing track of time. 4. Enjoy the Beach. Part of Stokes Bay Beach is protected from the surf by a natural barrier of rocks and is a safe place for children to swim. Outside the rock ring visitors can go surfing, boogie boarding, snorkelling or fishing in this sheltered inlet. Relax on the sand and soak up the sun or take a casual stroll. 5. Wonder at the Rock Formations. Walk to the east and at the other end of the beach and explore cross-bedding rock formations. These look as if the earth has been turned on its side. Many of these sandstone rocks display red-brown or bright orange colouring while others are coated in a short vibrant green seaweed. 6. The Rockpool Café. This open air, licensed café near the beach offers not only fine food but wonderful sea views. Relax with a coffee or an ice cream or enjoy one of the café's local seafood dishes. Tuck into Fish 'n Chips, Classic Seafood Cone, or perhaps chose from the daily specials. The Rockpool Café is open mid-September to mid-May from 11am 5pm to Tuesday to Sunday except Christmas Day or all week during school holidays. It is also open dinner on Fridays when bookings are essential. The café can also be booked for private functions so before you make the trip you might like to call ahead to ensure it is open. 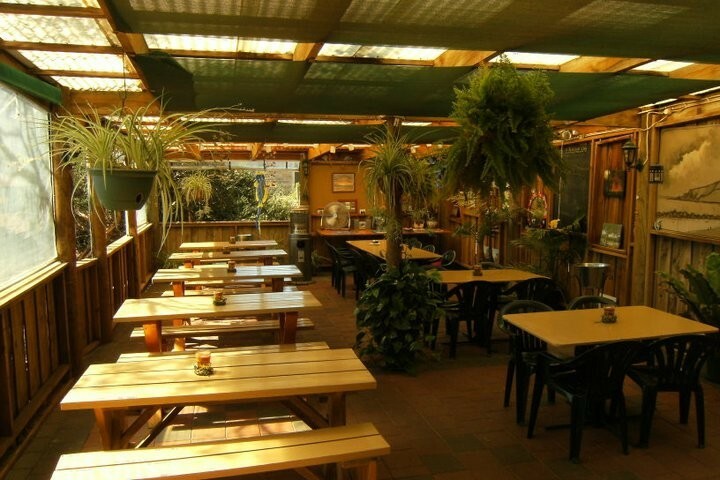 The Rockpool Café can be contacted on (08) 8559 2277. 7. Stokes Bay Bush Garden. 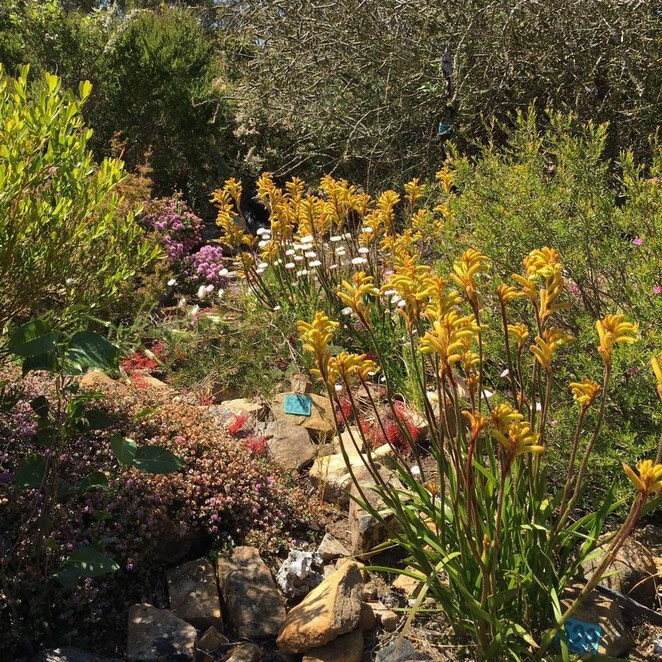 This three hectare garden not only showcases 150 types flowers and plants native to Kangaroo Island but are also home to around 750 other species of plant. Here you will find banksias, grevilleas, hakeas, orchids, and much more. The abundant bird life attracted to the garden are a welcome bonus. The Stokes Bay Bush Garden is at 1511 Stokes Bay Rd just 4kms from the beach. They can be contacted on (08) 8559 2244. It is open from 10am to 5pm, Sunday to Friday between August and May excluding Christmas Day. 8. Visit Will's Rare Breeds Farm. If you think farm animals are nothing special you haven't visited Will's Rare Breeds Farm. The farm is dedicated to preserving rare breeds of cattle, sheep, pigs and poultry not kept as commercial stock. Tours on which visitors can touch the animals are run most days. Contact Will on 0448 745 696 for times. Tours costs (Feb. 2017) are Adults $20.00, Children $12.50, Children under 3 are admitted for free. Will's Rare Breeds Farm is at 4714 North Coast Road, 2 km west of Stoke Bay. 9. Walk in the Lathami Conservation Park. Stokes Bay is adjacent the Lathami Conservation Park. The park is named for the Glossy Black Cockatoos, found only on Kangaroo Island which are a protected species. You might also see rosellas, blue wrens, wallabies, echidnas and koalas. The Lathami Conservation Park has car parks on both Stokes Bay Road and North Coast Road and is around 1.5kms south east of Stokes Bay. The park, which is open 24 hours a day, seven days a week is ideal for bushwalking and birdwatching. Tracks are not well defined so be aware of your location. There are no entry fees. Park Management can be contacted on (08) 8553 4444. 10. Birdwatching. You won't have to look far to find beautiful birds at Stokes Bay. We spotted cormorants, pelicans, pacific gulls, and herons at the rocky beach and blue wrens and firetail finches at the café. Other birds to be seen in the Stokes Bay area include hooded plovers, ospreys, sea-eagles, honeyeaters, European goldfinches and white-fronted chats. 11. Stay a While. Since this is all too much for one day why not stay over. For the cost conscious there is a camping ground by the The Rockpool Café. The Waves and Wildlife Cottages offer self-contained seaside cottages and have a wildlife sanctuary called Pauls Place. Lathami Lodge offers family friendly, two bedroom accommodation with great views across Lathami Conservation Park. Stokes Bay Beachhouse located at the water's edge is a three bedroom holiday home. Stokes Bay Seaview Cottage is a two bedroom, self-contained cottage. Stokes Bay is on the north coast of Kangaroo Island about an hour's drive from Kingscote, the island's largest town. Follow the Playford Highway and then Stokes Bay Road, both of which are sealed roads. Kangaroo Island is accessed via the Sealink Ferry from Cape Jervis. The ferry terminal is around 115kms and an hour and a half's drive from the Adelaide CBD. Access to the beach is via the rock tunnel near the Rockpool Café For further information check the Tourism Kangaroo Island website or ring the visitor information centre on 1800 811 080. When: Visit the beach at any time. Check the article for café and attraction opening times. Phone: KI Visitor Information 1800 811 080. Where: Stokes Bay Rd on the north coast of KI. KI is accessed via Sealink Ferry https://www.sealink.com.au/ from Cape Jervis which is around 115kms and an hour and a half’s drive from the Adelaide CBD. Cost: Access to the beach is free. Check attraction websites for current fees. I may rarely or never comment but I love all your articles. You are a true wanderer. You've been everywhere and I'd love to go everywhere you've been. You are a true free spirit roaming the earth; so thanks for sharing. Wow! I didn't get time to visit Stokes Bay on my visit, but it's on my list for next time! Congrats on the Gold! What a beautiful area, Gayle - welcome back, I've missed your articles - well done with the Gold - well-deserved! 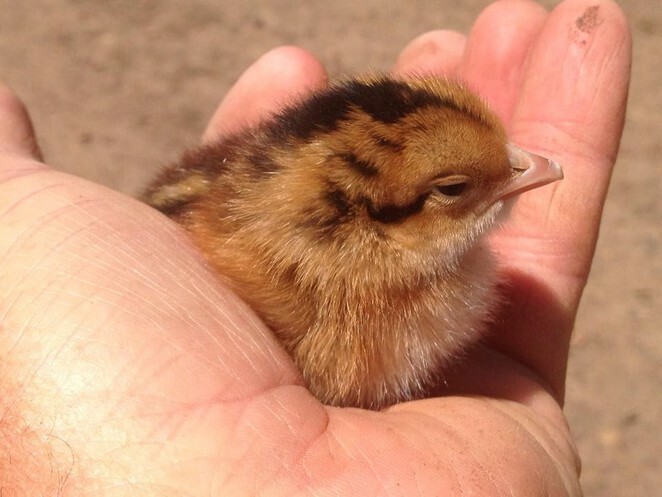 Love your bird pics. Stokes Bay sure is a beautiful place to visit. Definitely on my list favourite beaches. What a great place for a peaceful visit. The water looks so clear.